In 2002, a poll by the BBC to find the Greatest 100 Britons placed Isambard Kingdom Brunel at number 2 – with only Winston Churchill above him. 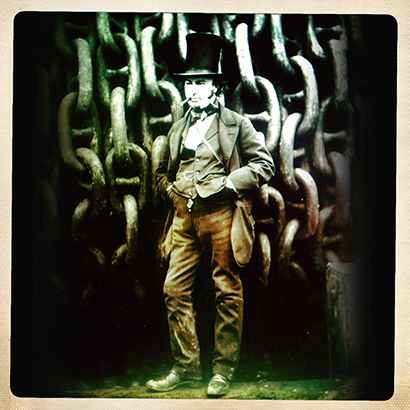 Born in 1806, Brunel was a Mechanical and Structural Engineer and a leading figure in the Industrial Revolution. He was a pioneer of Shipping – building docks and developing propeller driven boats. He built viaducts, aquaducts and tunnels, and many of his creations, such as the Clifton Suspension Bridge, remain as iconic and functional masterpieces to this day. But what, Fishpool hears you wonder, has he got to do with fishing? Well, aside from having a hand in the construction of our canal network, which has offered plenty of angling opportunities, Brunel was hugely influential in the expansion of Britain’s railways. Though his wide gauge track was abandoned after his death, his notion of following river courses in order to create a flat, efficient track, has endured, and before the age of the motor car, this proved vital to anglers. A Century ago, railway stations would bustle with fishermen. The popularity of angling was huge and the only way to reach some of the finest water was by train. It was a golden, and in many ways, romantic age – explored beautifully by Jon Berry in A Train to Catch.